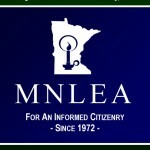 Come join members of LEA for an evening with supporters of constitutional government from across Minnesota as we gather to hear from LEA’s legislative honorees and present LEA award-plaques to those who earned honors in our 2016 report. The event is open to all dues-paying members, and dues are only $10 per year. Reserve your dinner and pay your 2017 dues of $10 (if you haven’t already done so) using the form on the following page. Reservations should be received no later than Saturday, February 11. The cost per dinner is $30 if paid in advance, and $35 at the door. We look forward to seeing you at the banquet! Update February 18: Online reservations closed.